Your world shows a lot of different sceneries and the rocky beach looks like the beaches I saw in Tasmania. Impressive! Thank you! I can't wait til spring! Looks like you got a lot of snow in the blizzard. Bet you are ready for spring, too! Sometimes me, myself and I are all the company one needs! Your photos are lovely, though I'm sure you have had enough snow!! hope the snow goes away and spring flowers bloom...your photos are lovely of the snow and I have enjoyed them, as we had no snow. Lovely shots, never tire of snow photos as we don't get that here. Wonderfully composed haiku on 'strangers', and I love the photos you have used in this post. The storm can be a comfort to strangers! Beautiful snowy tree against the blue sky. Beautiful photos! 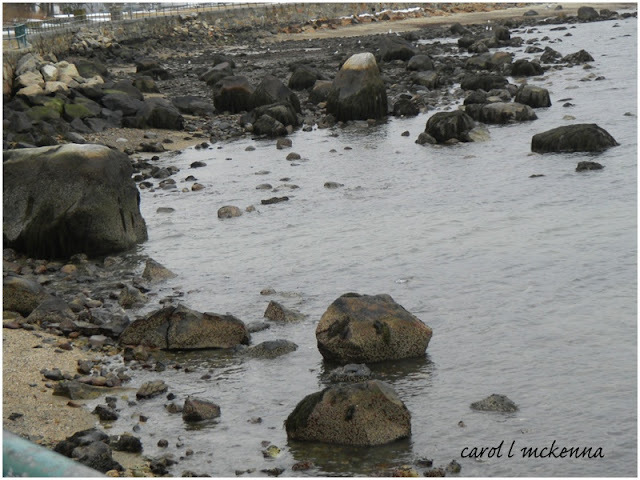 I am from Massachusetts but, I have never been to Cape Ann. It's looks beautiful! Are you as ready for spring as I am? Goodness gracious... That beach looks chilly but I bet in summer it is so soothing! Beautiful photos. That haiku stirs something deep in one's heart. I wish the 'wind and storm' to stay strangers .... maybe they wouldn't stop by so often! do you think it will ever stop snowing up there?! We have been woefully lacking in the snow department this season so far. So I enjoy seeing other's who are enjoying it. Love that first shot in particular. Ha, nope, not tired of the snow pics at all. We rarely see it here so for me it's a treat! Lovely images. I can relate to being tired of the snow, having formerly lived with "lake effect" snow in northern Indiana. I'm getting tired of taking snow photos, though I don't really mind the snow. Your shot of the tree branches is pretty - that was the way mine looked Monday morning, but it quickly melted. I guess a little Spring color will be nice. Beautiful snow...but, yes, everyone is ready for spring!! Beautiful winter pictures. I like your haiku! 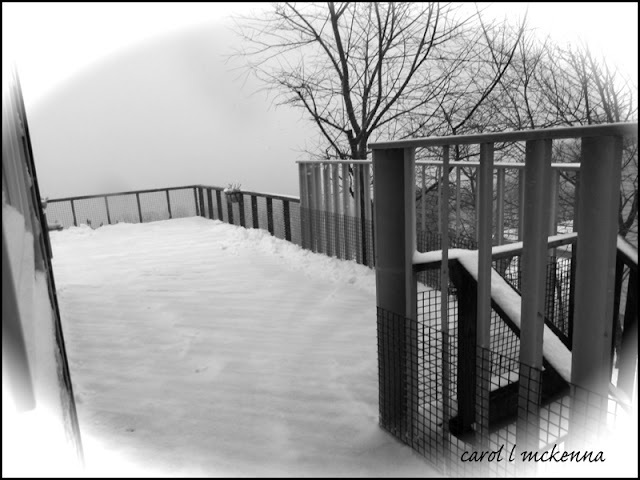 No, not tired of snow photos, but even though I would love to see snow here, I know you are getting tired of it by now. Very nice shots and beautiful haiku! That's a lovely quote by Henry Beecher .... so very true. I never tire of snow captures Carol they have an appeal that is different to anything else .... very pleasant to the eyes. Your photos are lovely but I must admit we are not missing the snow as we sit on the beach!! Thanks for dropping by and visiting! This is a delightful post, Carol. Looks like your artmuse assistant took you on some wonderful walks. ;-> I especially like the way the snow-covered tree branches lace the sky. Nice. 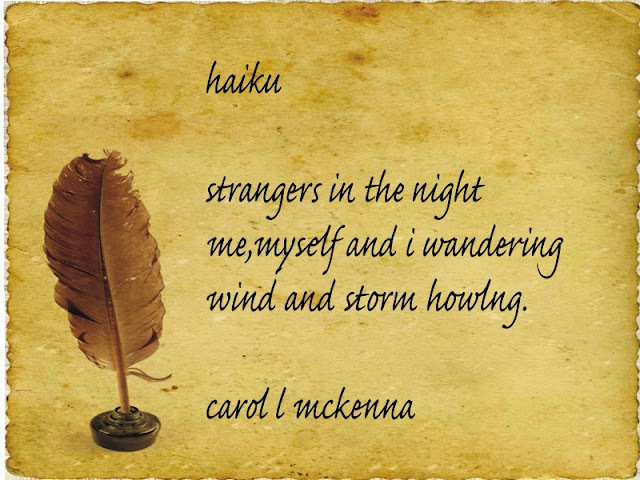 Love the Haiku ... sounds like the weather is keeping you up at night ... literally. Thanks for joining Walk and Click Wednesdays!! 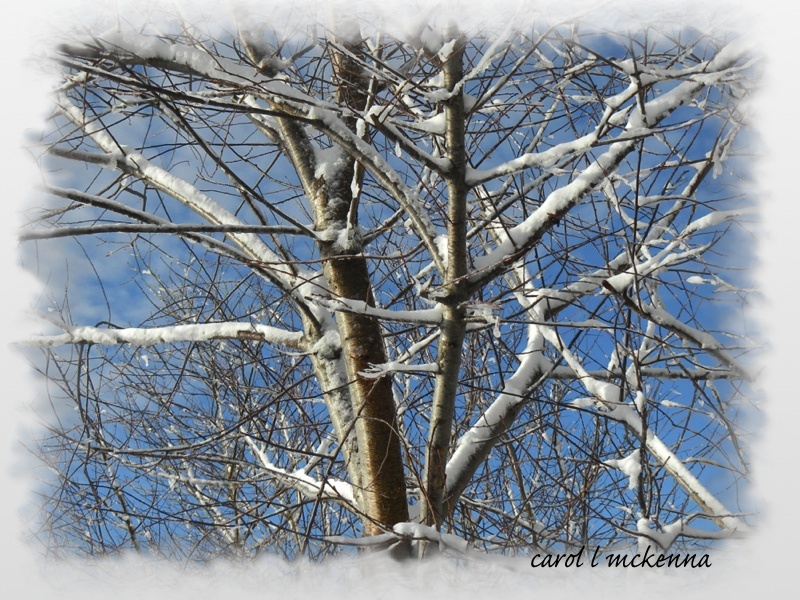 Love the light in your pic of the tree... and the snow on the branches! Beautiful images! I for one never tire of snow pictures. I guess that's because we get very little snow here and don't have to deal with it! Oh I love, love, love your quote for the day! This is exactly what I needed to hear today to feel good. Many, many thanks! I will print it and stick it on my monitor in the office. So I can enjoy it tomorrow too! Really like the low tide photo, makes me want to be there!